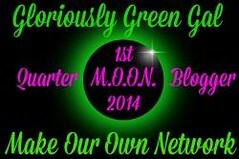 Follow Gloriously Green Gal on Facebook! What have we talked about lately? Is math a drag in your house, or is it something you worry about with your younger child that they may not do well, or are showing earlier signs of struggling? If so, why not try injecting some fun into their math building practices? Krista over at Savory Savings had the chance to check out the new Under The Sea Shells math word problem activity set from Learning Resources and shared that her kiddos did not even realize they were learning and flexing their math skills when working with this set! This set, aimed for first grade and above, brings fun and silly sea creatures into the world of math word problems and challenges little thinkers to consider operations and algebraic thinking. It follows the Common Core guidelines for learning and really keeps children engaged. Would you like to win the Learning Resources Under the Sea Shells word problem set to help engage your little one with math? If so, enter with the giveaway tool below. This giveaway is open to US residents, ages 18 and older. If you have won a Learning Resources giveaway anytime from another blog in the last 6 months, you are not eligible to win this giveaway. The giveaway will run from February 6, 2013 through February 20, 2014 at 11 PM CST and is open to US residents, ages 18 and older. Entries will be verified. Winner will be notified via email (consider adding gloriouslygreengal@gmail.com to your safe list) – winner will have 48 hours to respond and claim prize or another winner will be selected. Krista from Gloriously Green Gal and Savory Savings received products from this sponsor to facilitate her review, no other compensation was received. All participating blogs are not responsible for prize fulfillment. This giveaway is in no way associated with social media sites including Facebook, Twitter and Pinterest. « Reusa Wool Dryer Ball Giveaway – 2 winners!